So many people worry about everyone else’s feelings and needs at the expense of their own and this is NOT the same thing as peace. In many situations in life, someone will end up feeling hurt, sad, disappointed, frustrated, etc. The problem when you haven’t set a boundary is that the one who’s most upset almost always ends up being YOU! Trust me – you don’t have to settle for that. Let’s look for a moment at what happens when you are constantly putting your own needs aside in favor of everyone else’s. The message you are essentially giving to yourself is that you don’t matter. At some point you inevitably begin to feel like a martyr, and this leads to feelings of resentment, frustration and anger. Often these feelings are followed by beliefs that “they should know” just how tired, overwhelmed and stressed you are, and that since they know that, they should stop asking you for help or to do things for them. If any of this sounds or feels familiar, then it is time to look at what your boundaries are, and how to begin to establish new ones. The irony is that, chances are, you keep helping because you’re worried you would be “selfish and uncaring” not to. But there is a huge difference between being selfish and uncaring of anyone else’s needs or feelings, and setting boundaries so that you are respectful and caring of your own needs and feelings. Aside from the messages you’re telling yourself about what you do or don’t deserve when you don’t set boundaries, you are also unintentionally sending out messages to the people you’re helping. Here’s how that occurs: with everything we do and say, we are actually teaching people how we want to, or are willing to, be treated. 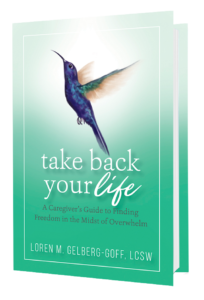 So if you have been giving in to everyone else – especially if it’s family members, and over the course of your lifetime, then they have learned – because you have taught them – that it’s absolutely OK not to consider what you might need or want. How many of you are saying to yourselves right now, “Oh no! That’s exactly what I’ve been doing!” And the people in your life have been paying really close attention, because they’ve gotten really good at following that training! So…take a breath! Now that you know, you can begin the retraining – with love and compassion for all (including you this time!). Many people find these lines extremely confronting, overwhelming and discomforting – and the degree to which they make you uncomfortable will give you a pretty accurate idea of how much you haven’t been setting boundaries up until now. 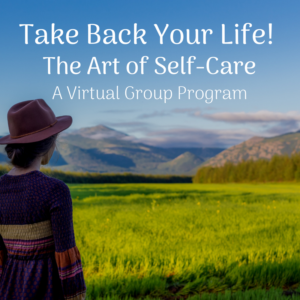 So it’s time to decide: are you willing to take care of yourself, and to be true to who you are and what you need and want before you jump to take care of everyone (or anyone) else? Are you willing to “place the oxygen mask over your own face first before rushing around to make sure everyone else is breathing, so you won’t be left gasping for air and barely breathing? If so, then from now on allow yourself to ask and answer the following questions before you say “yes” to any new opportunity to help someone else! 1. Am I willing to STOP! BREATHE and FOCUS before responding to any request? to be something over which I have control. 3. If I am saying “yes” to someone else, am I really saying “no” to myself? 5. If I “go along/give in/acquiesce” etc. Will I be upset, aggravated, frustrated, angry, etc.? 6. What are the consequences I face if I say “no” or state a differing point of view? 7. What are the consequences if I say ‘yes’ and keep my own needs and feelings to myself? There really are no absolute right or wrong answers. There is only awareness of how you really feel, so that you can then choose to act in a manner that will be loving, respectful and compassionate to you, first and foremost. There are consequences to EVERY action. What’s important is that you get to have a say in which consequences you are willing to face. Join in the discussion here, on Facebook , twitter and Linked In!